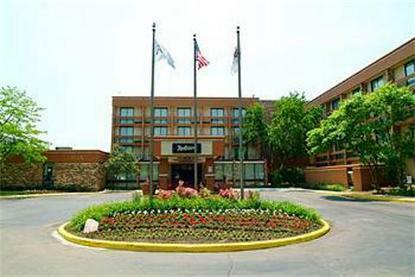 First class hotel located 12 miles from O'hare Airport and less than 2 miles from Woodfield Mall. Upon availability, complimentary shuttle services to and from the Woodfield Mall and other local businesses and attractions within the 5 mile radius of the hotel. Conveniently located near Arlington Park, Medieval Times, Ikeas and Fortune 500 companies. Hotel features the Penne Grill and Lounge, room service, outdoor pool, health facilities and gift shop. High Speed Internet available in all the guest rooms, meeting rooms and public areas.